From plastic bags to plastic containers, plastic is an integrated part of our lives. Since its development in 1907, we have used it in thousands of ways because it is such a versatile material. Unfortunately, this mass consumption of plastic items has resulted in a massive amount of plastic waste across the globe because it is also a very indestructible material. Based on a 2010 dataset, researchers estimate that about 275 million metric tons of plastic were created that year as we continue to use these products. That same data predicted that 2015 would see about 9 million metric tons of plastic enter the ocean, which is an increase from the estimated annual amount of 8 million metric tons. Numerous research has shown that these disturbances to the ocean cause tremendous damage to ecosystems. Plastic pollution has been linked to the deaths of birds, turtles, and many animals within different ocean ecosystems. To that end, it is becoming increasingly clear that measures must be implemented to prevent this continued production of plastic waste. Most of us recycle our plastic items in hopes that they will be broken down and reused in some fashion, but the truth is that about 91% of plastics are not recycled. So, besides education and increasing recycling plans, many countries have begun to implement other solutions. In the United States, many states and towns are approaching the idea of a plastic bag ban as places like California has banned the use of plastic bags in 2014 (which was upheld by voters in 2016), becoming one of the first states to do so. Recently, China has banned the import of plastic waste as previously it would bring in tonnes of plastic wastes from places like the European Union. Following China’s import ban, the EU has also introduced plans to curb plastic waste. They introduced measures to make all plastic packaging materials be either reusable or recyclable by 2030. 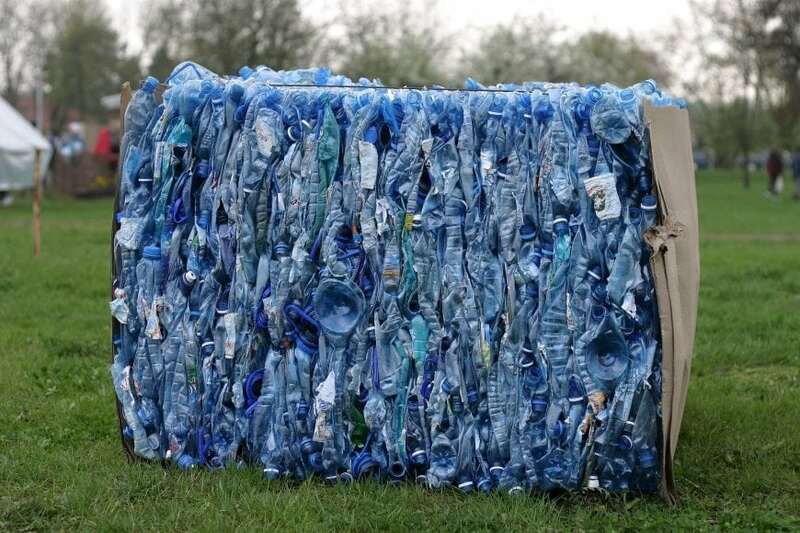 The Chinese ban on the import of plastic waste caused the EU to respond with plastic solutions of their own. Since the UK is on course to leave the EU, they have to come up with their own plastic management plans. This is especially important because the Chinese ban places great pressure on the UK. The UK has exported over 2.7 million tons of plastic to China and Hong Kong since 2012. This represents a large number of plastics that the UK did not have to deal with. Now that the ban is underway, the UK has to figure out solutions to dealing with the excess plastic it can no longer ship to another country. Environment Secretary Michael Gove admitted that the consequence of this ban is unclear, but the overall consensus is that it will be negative for the UK. The sudden influx of plastic has created a layer of uncertainty in the UK because, as Elena Polisano oceans campaigner for Greenpeace UK puts it, the UK’s recycling system was built around exporting excess plastic to China and must now try to cope with this disturbance. The UK has started a ban on microplastics, like those microbeads found in facial cleansers, on January 2018 as it begins to consider options for dealing with its plastic waste. The microplastic ban is important because these plastics are pervasive in ocean environments and are potentially in our food system. They had already implemented systems for putting a price per plastic bags as well. The United States placed a ban on microbeads in 2015. With this new ban, the UK must now consider new options towards reducing their plastic usage and many cities across the UK are beginning to implement their own plans. In an effort to reduce the number of single-use plastic items, like plastic water bottles, the city of London has introduced a network of water fountains and bottle refill stations throughout the city. This network will be set up and ready for the coming summer months and provide tap water to the public. Under this plan, plastic items such as bottles, cutlery, and cups will no longer be provided at City Hall. There will be 20 water fountains situated in different parts of London, which are currently unknown, and bottle refill locations will be provided by businesses that offer water to the public at no charge. These refill locations will be marked and an app will be used to locate them. This initiative is part of Sadiq Khan’s, the mayor of London, three years plan to reduce plastic waste in London. Alongside this, the city aims to ensure that no biodegradable or recyclable material is sent to a landfill by 2026. An investigation by The Guardian found that many areas in London did not have any existing water fountains and areas that did have water fountains were in limited quantity. This new pilot program aims to fill the gaps that already exist to create multiple benefits. Besides helping to reduce the need for water bottles and related items, the water fountains will also provide a free and clean source of water for those that are unable to acquire it elsewhere. These plans are just the beginning for Mayor Khan as he wants to commit London towards a greener path. This is especially important given recent events, like the pressure of the Chinese import ban and the separation from the EU. Should this program be successful, it will be a hopeful view for other parts of the UK as they look to measures to reduce the accumulation of plastic wastes. As the world becomes more aware of the consequences of our continued plastic usage and waste creation, programs like those mentioned here can become potential tools to reverse existing damages. Their success will allow us to save many ecosystems, prevent many animal deaths, and improve our own health and wellbeing. Previous Post« Previous What Do Frogs Eat?